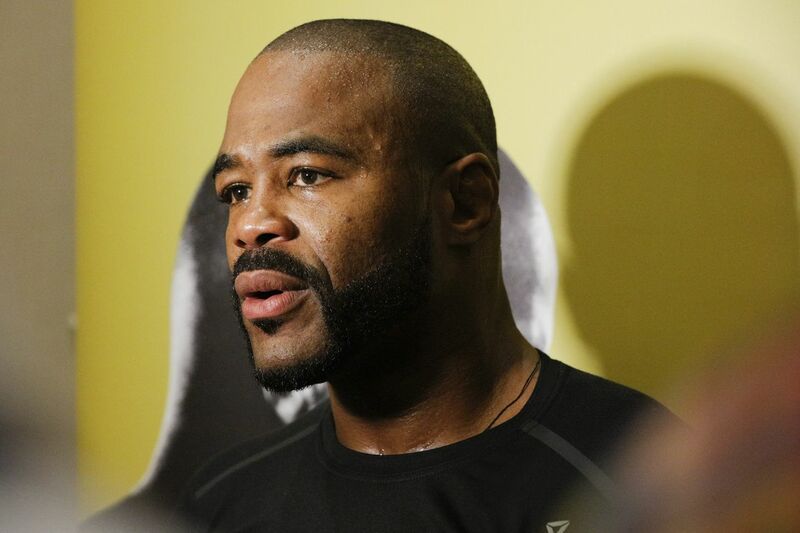 Former UFC light heavyweight champion Rashad Evans says he doesn’t believe Jon Jones knowingly took any banned substances and thinks it is unfortunate that his legacy will have an asterisk. The story of Jon Jones’ career will be forever linked with Rashad Evans. Evans and Jones were friends and training partners until Jones was tabbed to step in for an injured Evans in a title fight against Mauricio Rua. Jones’ performance in that title fight would launch his career and be the starting point for the most dominant championship run in light heavyweight history. It also would sour their friendship and result in Evans leaving the Jackson-Winklejohn camp and the two eventually fighting each other. Both men have since put the bad blood behind them. So this week when Evans went on the 5 Rounds podcast with ESPN’s Brett Okamoto, it wasn’t to kick Jones while he’s down but he did share his disappointment about Jones’ recent failed USADA test. “I just felt huge disappointment. As a fan first, and as somebody who is closely associated with Jon…I just hate to see somebody that has so much potential to do so many great things have this kind of situation happen to them. In my opinion, he’s probably one of the greatest fighters to ever put on gloves but now his legacy is going to be associated with the asterisk of ‘was he clean?’ and all the other things that he is known for outside of the cage.